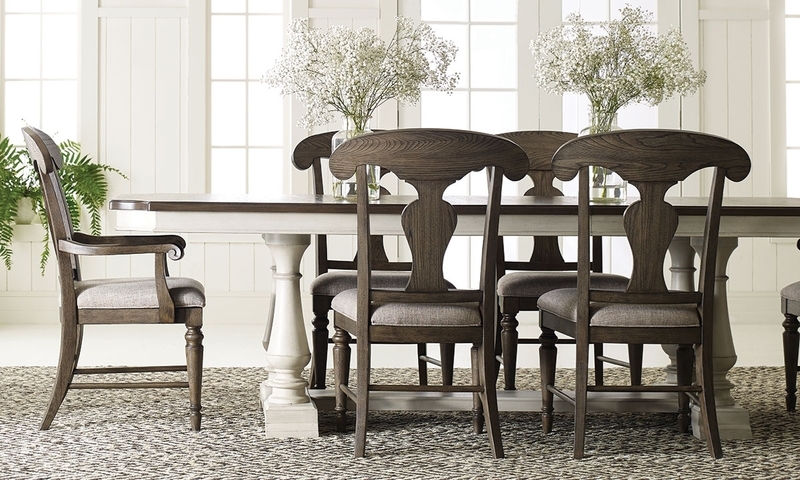 Seat up to 10 with the casual yet refined Brookhaven dining collection. The 82-inch trestle table includes two leaves to extend its shaped, dark elm surface up to a grand 120 inches. The four included splat back chairs feature the same finish, as well as comfortable cushioned seats tailored in neutral upholstery. Their turned front legs are similar in style to the table base, its distressed vintage linen finish offering rustic detail and pleasing contrast to this farmhouse dining set.